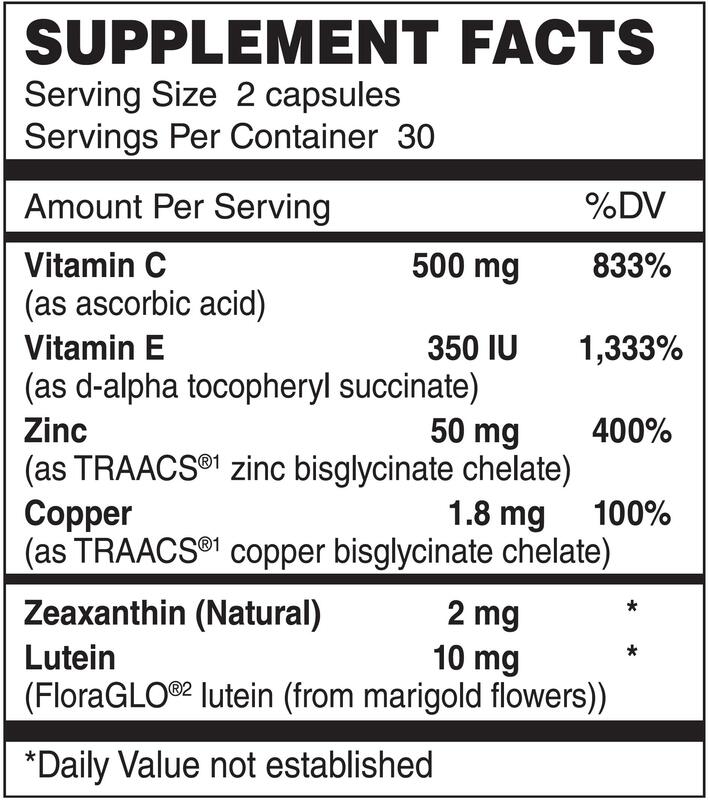 Eye Support capsules contains important vitamins, minerals as well as powerful antioxidants such as zeaxanthin and lutein, to support eye health. Directions: As a dietary supplement for adults, take two (2) capsules daily (can be divided), preferably with a meal, or as directed by a healthcare practitioner. Other Ingredients: Vegetable cellulose, microcrystalline cellulose, silica and vegetable magnesium stearate. Contains soy. Warning:If you are pregnant, nursing, taking any medications or have a medical condition,please consult your healthcare practitioner before taking any dietary supplement.